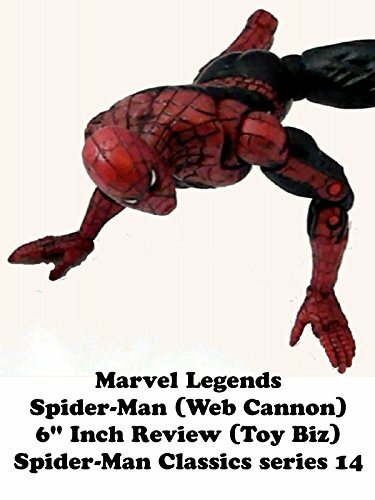 This is a Spider-Man Classics series 14 "Web Cannon" Spider-Man action figure toy. It is 6" inches in scale and made by Toy Biz. It is based on the art of Pablo Rivera with a fantastic headsculpt. But the torso is very oddly shaped and lacks articulation. This figure is really meant to be in a crouching position to copy some of the art panels from the comic book he made. So it's a mixed bag.